Don’t skimp on the essentials. The summer driving season is the one we wait for all year. Finally, clear and dry roads with predictable conditions – that is, until those torrential summer storms hit. Nothing puts a damper on a great summer drive like a wheel-gripping, tension-inducing downpour. Fortunately, such conditions always pass, and often relatively quickly. 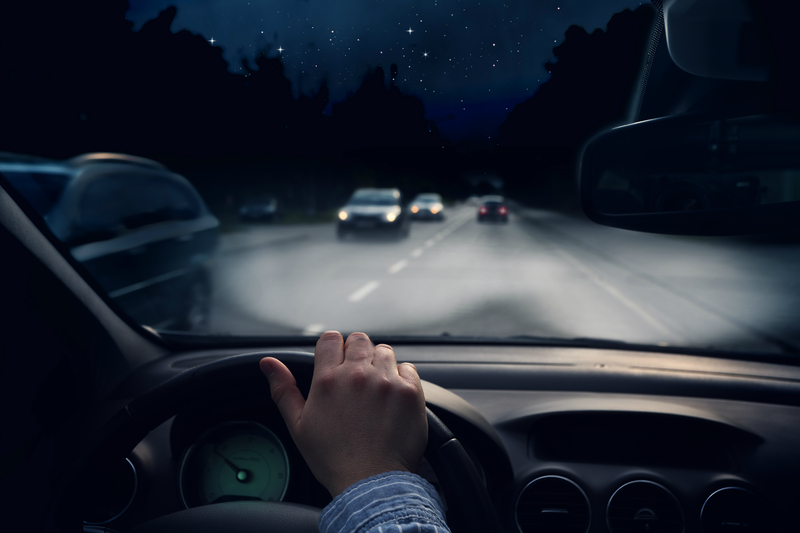 With these tips for keeping your car on the road and you and your passengers safe, you’ll be on the other end of the storm and back on your way in no time. It’s the golden rule of driving: adjust for the conditions. 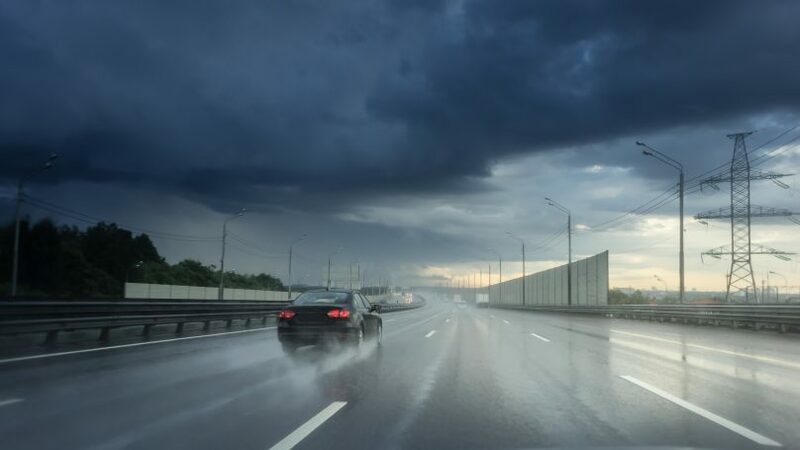 In heavy rains, there are two factors working against you: you can’t see as well, so you won’t react as quickly to finding something in your way in front of you; and once you do hit the brakes, the reduced traction of the wet road will make it take longer to bring your car to a halt. The single most important factor affecting safe driving on wet roads is speed. This chart published by the Government of Queensland in Australia spells it out nicely. Understanding that these figures are averages, not rules, if you’re traveling at 100 km/h and need to stop in dry conditions, it will take you an average of 98 metres to stop. (For reference, that’s already just a little under the length of a Canadian football field.) In the rain, that distance goes up to 122 metres. Do you even have 122 metres of visibility in a heavy downpour? Typically, the answer is no. 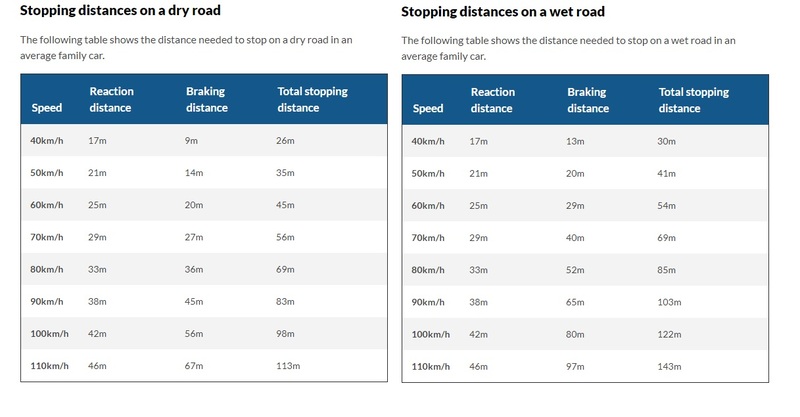 Slow down to 80 km/h and your wet stopping distance goes down to a much more reasonable 85 metres, about two-thirds of the distance needed from 100 km/h. This goes doubly if the rain has just started and the weather has been nice for a while. Unseen substances like rubber and oil can build up on the surfaces of roads, and it takes a few minutes for the rain to wash them off. In the meantime, they can make the asphalt very slick and reduce traction significantly. And remember that those around you have longer stopping distances as well. A large vehicle like a transport truck or an RV will need far more space to brake with its heavier weight, so cutting one off is an even more terrible idea than usual when the road is wet. Maintain a bubble around you on all sides to ensure that you can stop, the person behind you can stop, and you’ve got somewhere to go on either side in case one of those first two safeguards fail. This has got to be one of the most common misconceptions out there, that as soon as the rain hits your hazards should be on. It couldn’t be further from the truth. The only time that hazard lights are intended to be used on a moving vehicle are when it’s part of a funeral procession. Otherwise, you never hit that red triangle button when you’re rolling, period. In fact, the practice of putting your hazards on in the rain is so dangerous that it’s flat-out illegal in some jurisdictions. Why? 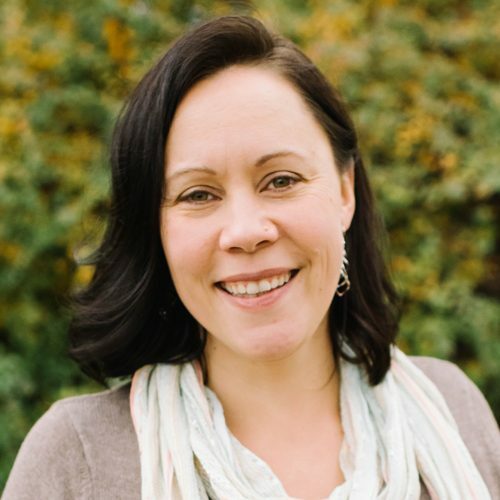 There are a few reasons: the people who know the rules might assume you’re stopped and respond with panicked and unnecessary reactions; it actually reduces the ability of others to see your brake lights and turn signals; and if someone actually is pulled over and in trouble, it makes it harder for emergency services to identify and assist them. Along the same lines, should the conditions get so bad that you feel you simply can’t continue, never stop on a moving highway. If you can’t see the car ahead of you, then the car behind you can’t see you, either, and you’ve turned into an accident waiting to happen. Continue with extreme caution until you reach the next exit and pull onto the sideroad, and ideally into a parking lot if there’s one nearby, to wait the weather out. Motorcyclists will sometimes make themselves an exception to this rule because stopping on a sideroad would leave them and their bikes soaked, so they’ll usually stop under highway overpasses instead. It’s not the safest solution but they’re not likely to let that concern them, so be aware that there’s a good chance they’re there and keep an eye out for them whenever you pass under a bridge. When the topic of distracted driving comes up these days, the first culprit most people think of is smartphones. We all know that we should keep our phones out of sight and never lay a hand on them when we’re behind the wheel, right? That’s a given at all times. But there are many other things that can distract us when we’re driving, some of which people don’t give a second thought. It’s important not to let them make you lose focus, especially in inclement weather when your safety requires your full attention. If you’re talking hands-free on the phone, tell the person you’ll call them back after the storm passes. 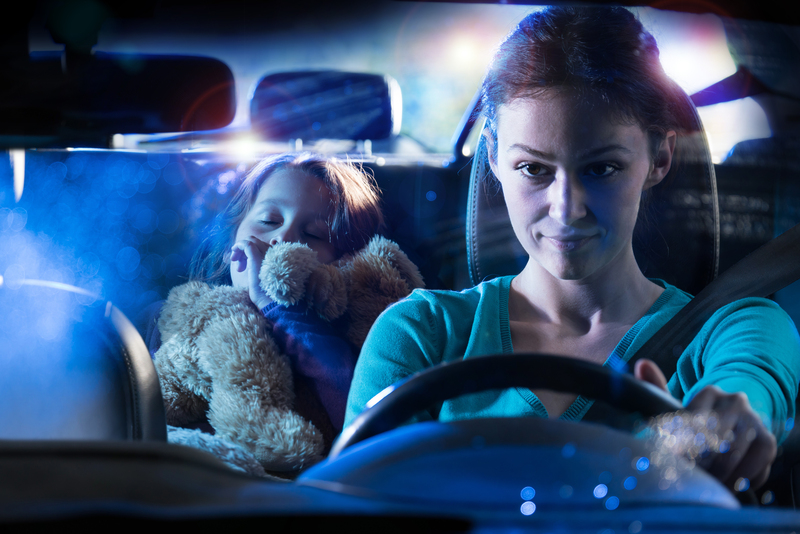 Calmly let your kids know that you need to focus on driving for your family’s safety and ask them to keep arguments and requests to a minimum until the rain stops. Put down the snacks and drinks and keep your hands on the wheel. Consider turning the radio down or off so that any sudden sounds don’t spike your anxiety level. With rare exceptions, these interruptions will only last a few minutes, and they’ll still be there to go back to once the weather improves. In heavy rains, standing water can become a serious safety issue. 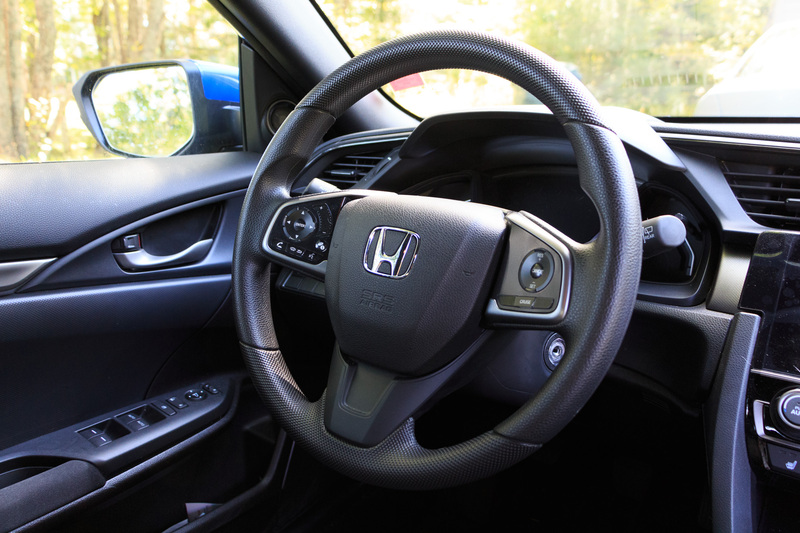 The first risk is hydroplaning, which is what happens when your tires can’t adequately wick away the amount of water they’re encountering and keep themselves in contact with the road. 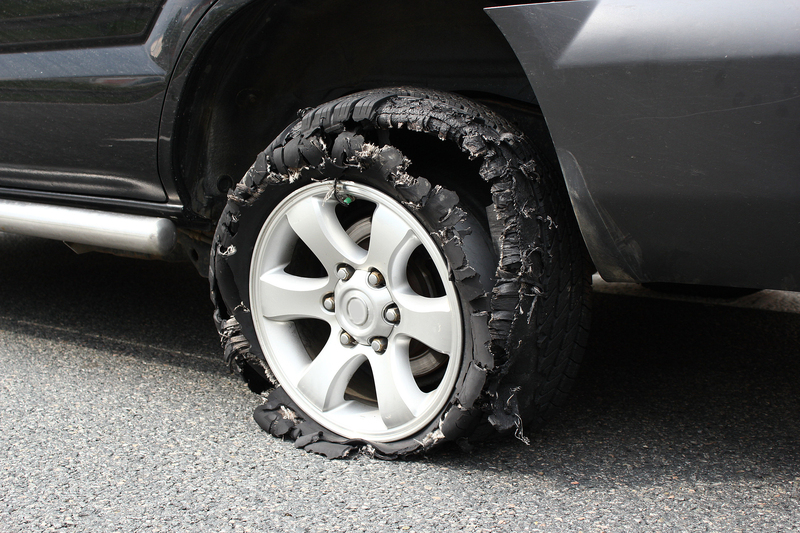 You can help yourself with one aspect of this by regularly checking the tread depth on your tires. Once the treads become too shallow, they can no longer effectively move water away and you’ll need to replace them. The old trick is to take a quarter and stick the top of the Queen’s head into the tread. If you can see the top of her hair, it’s time to go tire shopping. Another key aspect of avoiding hydroplaning is one we’ve already discussed: slow down. 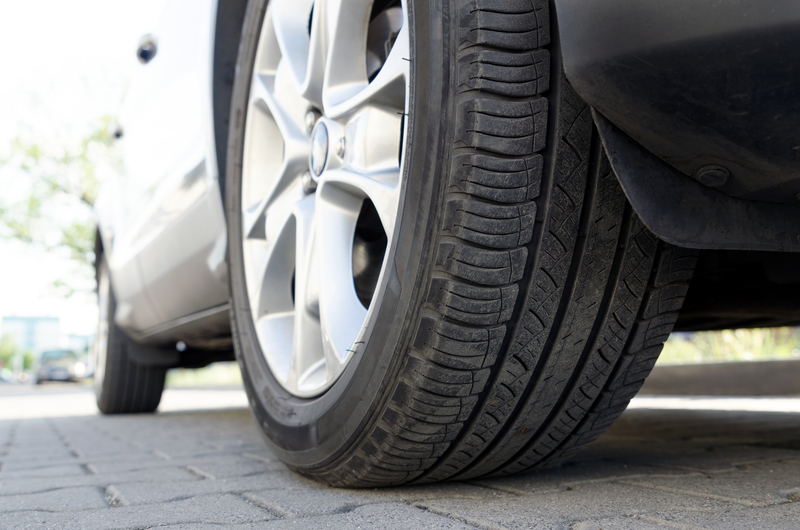 A reduced speed allows your tires to do the work of moving water out of the way so that they can stay connected to the pavement. The faster you’re going, the more likely it is that the tires won’t be able to keep up and you’ll send nothing but water under the contact patch, causing you to lose traction and, inevitably, control. Finally, keep your eyes up and watch what other motorists are encountering. If you see a car going through a large puddle, change lanes or take a different route if you can. When things get really bad, be aware of exactly how much water your car can make it through. The measurement you’re looking for is your air intake – if water gets in there, you’re likely to do some damage to your engine. This depth will be different for every vehicle, so know what yours is and work your way through standing water accordingly. If you think you can make it through, go very slowly. If you don’t know, don’t go. 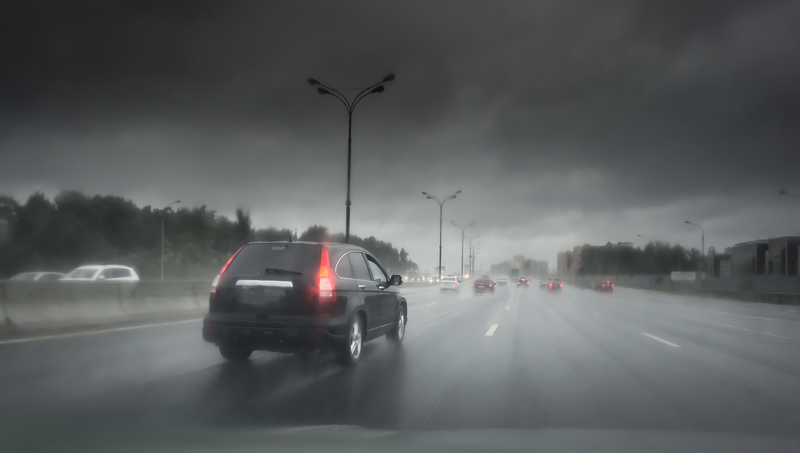 Forward visibility is one of the most important safety factors in storm conditions, and on that front there’s only one thing you can affect: your windshield wipers. The average set of wipers will last between six months to one year depending on things like sunlight, salt, freezing and debris that can cause the rubber to degrade at varying rates. 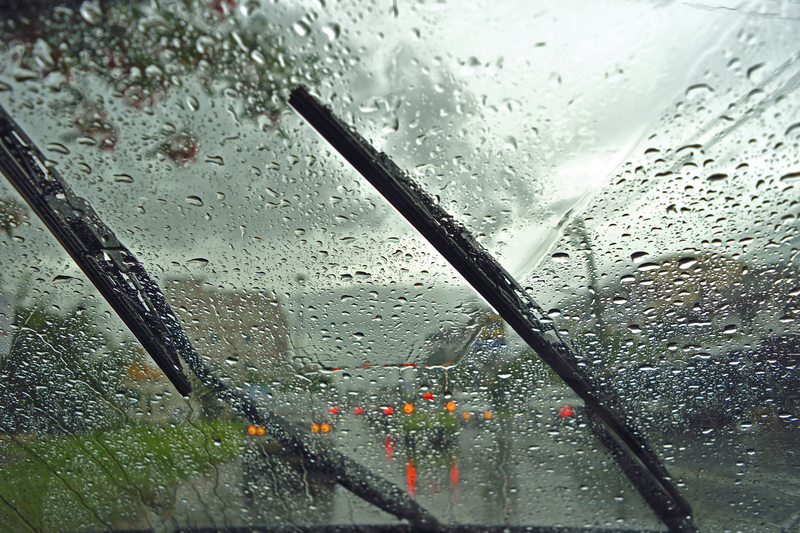 All you need to know is that as soon as your wiper blades start showing signs of wear by skipping, scraping, pulling away from the frame, or leaving streaks behind, it’s time to buy a new set. This is a $50 job and is easy to do yourself. Pick a day each year – your birthday, the first day of winter, Groundhog Day, whatever you’ll remember – and decide that that’s wiper-changing day. When you’re that much safer during that next summer tempest, you’ll thank yourself for it.